Kovalev vs Ward. Perhaps the most eagerly anticipated fight of 2016. 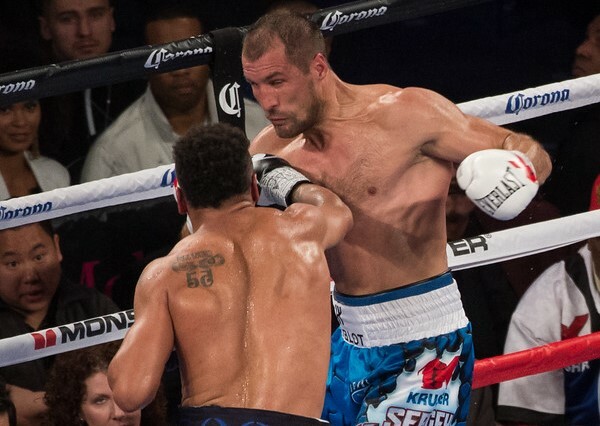 When word first came that Andre “S.O.G.” Ward and Sergey “Krusher” Kovalev would throw down, the news was greeted with unanimous praise and enthusiasm from fight fans. Two undefeated pugilists, both among the very best, pound-for-pound, clashing in a high stakes showdown: it doesn’t get much better. Add in the fact Ward is viewed by many as one of the finest technical boxers in the sport, and that Kovalev ranks as one of its most fearsome punchers, and you had all the ingredients for a classic boxer vs bruiser match-up and maybe, just maybe, a truly great fight. As an event, Kovalev vs Ward did not catch fire with the mainstream as neither fighter had built up a significant profile outside of the boxing realm, but that in itself added some intrigue: surely the winner would have the chance to raise their profile and become a new star in the sport. Bottom line: this was a great match-up, the kind boxing needs more of, and serious fight fans were more than happy to put their money down to see it. To a certain degree at least, the lofty expectations were fulfilled. 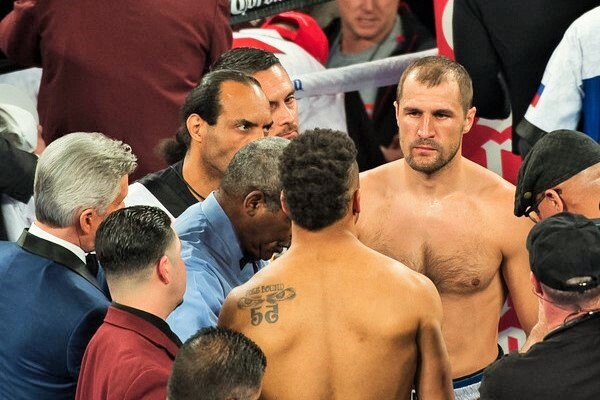 Kovalev and Ward put on an entertaining battle over 12 dramatic rounds. Much of that drama was thanks to the Russian’s extraordinary punching power as it was clear in the early going that it surprised Ward. Thus, for the rest of the fight one knew a sudden change in momentum was just a single punch away. 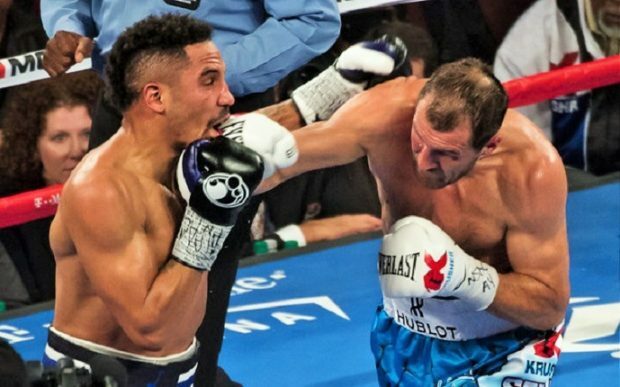 Kovalev stunned Ward with a hard jab in the opening round and scored a knockdown in round two with a heavy right hand and at that point it appeared an early stoppage win for “Krusher” was more than a distinct possibility. 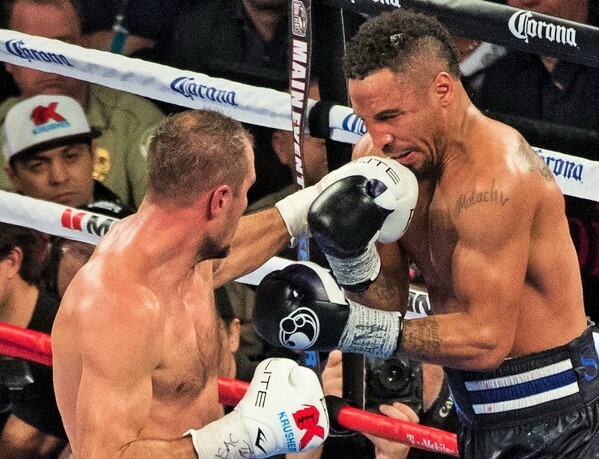 But Ward recovered well, even though the lion’s share of clean, effective punching was done by Kovalev as the challenger was kept on the defensive. Ward finally found his footing and began to assert himself in round five, winning exchanges with authority and digging some punishing blows to the body. 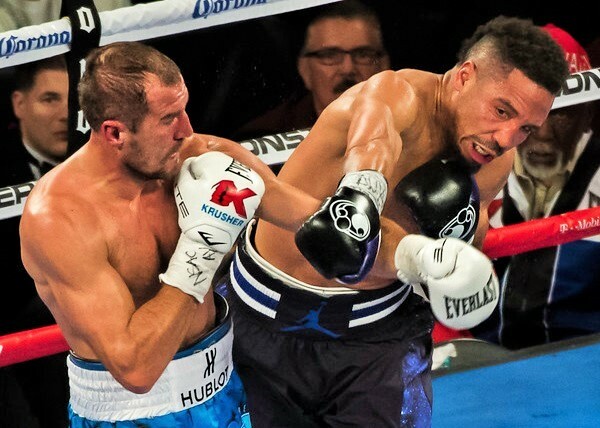 Kovalev came back in the sixth, but Ward took rounds seven and eight to make it a truly competitive scrap. Still, it remained the champion’s fight to lose and it appeared to this observer that the Russian did enough to hold his lead through the late rounds. However, all three judges somehow awarded the match to Ward by a single point and the controversial scoring is likely to overshadow the fact this was an entertaining, high-level duel that should elevate both men. Instead, we’re going to get a lot of whining and bitching about the scorecards which, to some degree at least, is merited. Why does boxing find it so hard to separate winners from losers? Credit to Ward for coming back from a terrible start to battle on largely even terms with the biggest, strongest and most powerful opponent of his career. Credit to Kovalev for fighting with discipline and control, never getting flustered and showing he belonged in the same ring as the man some thought too heady and skilled for him. In fact, many believe he won the fight, including the crowd at the T-Mobile Arena which booed the official decision. The champion can be faulted for not fighting with more urgency at times and for inexplicably abandoning his jab for stretches, the punch that allowed him to dominate the opening rounds. That said, this writer saw it as a three point win for the Krusher. Ward didn’t do enough over the stretch. Whilst he ‘won’ the second half of the fight I don’t think he swept all 6 of those rounds, more like 4 in my book, and he only won 1 of the first 6 as far as I’m concerned. In the second half of the fight Ward largely took away Kov’s right hand but only really landed his jab and a handful of sneaky body shots on the inside. I do feel Kov gassed, probably a result of having to do so much wrestling up close, but he also headhunted too much and didn’t invest enough into Ward’s body. That said Kov still landed his jab with regularity in the second half of the fight so wasn’t that far behind Ward in that respect and he of course did far more damage to Ward in the first half of the fight. The rematch raises some questions in my book. (1) I think Ward found something in the second half of the fight that he can replicate, if he doesn’t start slow then he could well win the rematch a lot more clearly – Kov is the one who has to doing something radically different. (2) How economically viable is the rematch? This was hardly a ‘classic’ fight, are people really going to be so willing to pay $55+ for another potentially highly tactical rematch?